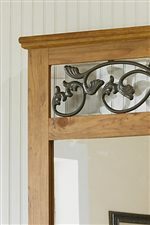 This panel bed features scrolled accents and replicated wood grain. 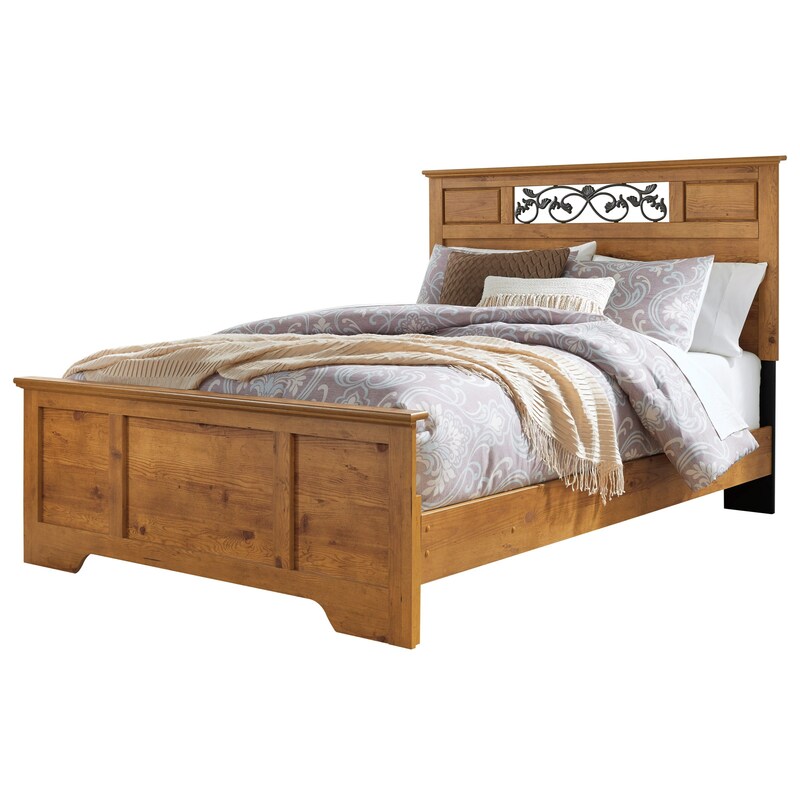 The casual style of this bed will bring just the right country feel to your bedroom. The Bittersweet Queen Panel Bed by Signature Design by Ashley at Michael's Furniture Warehouse in the San Fernando & Los Angeles area. Product availability may vary. Contact us for the most current availability on this product. 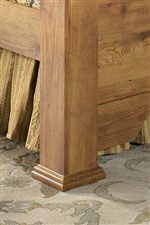 B219-55 Full/Queen Panel Headboard with Scrolled Headboard Detail 1 66.3" 2.99" 52.83"
B219-51 Queen/Full Panel Footboard 1 64.65" 3.11" 23.5"
B219-98 Queen Panel Rails 1 62.28" 84.02" 12.95"